In a city as big and diverse as Kathmandu, it'd be a shame to only visit one or two popular areas. Different neighborhoods here offer diverse experiences: Tibetan culture, Hindu temples, unique accommodation, and so on. Here's a quick guide to some of the key neighborhoods of Kathmandu. Many would-be visitors to Kathmandu know of the neighborhoods where the main attractions are, the tourist hub of Thamel... and that's about it. But Kathmandu is a huge city that extends throughout most of the Kathmandu Valley. Many neighborhoods have distinct histories and characteristics, as they existed separately before Kathmandu's urban sprawl melded everything together. Some were even separate kingdoms, once upon a time. 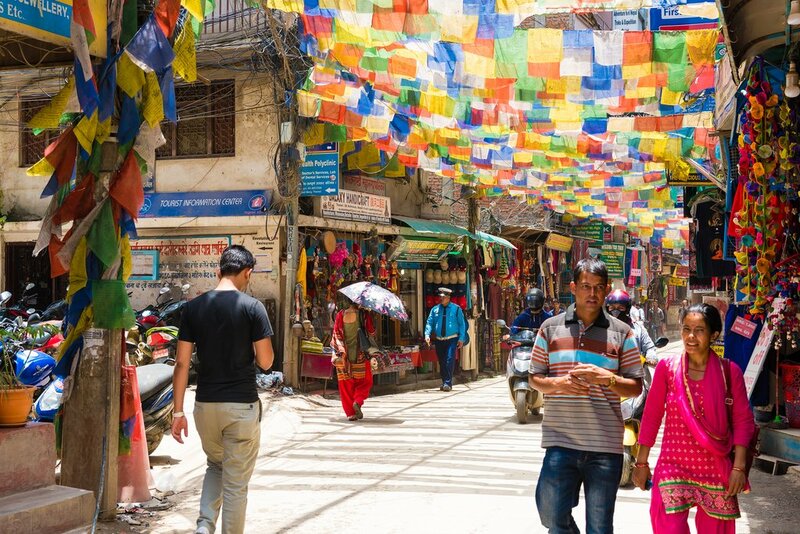 Some lesser-known Kathmandu neighborhoods offer peaceful boutique accommodation options, and others have lovely sights or great restaurants that you might miss if you only focus on the central neighborhoods. Here's a brief guide to the Kathmandu neighborhoods that you must know about. Thamel (pronounced ta-MELL) is the district that 'real' travelers love to dismiss as too touristy. But it's also where trendy young locals love to hang out. It's chock-a-block full of shops, tour operator offices, restaurants, clothing and souvenir shops, hotels, and places to buy or rent trekking gear—everything that travelers may need, in fact. But it also has centuries of history, and some small heritage structures and traditional Newari buildings. A major high point in Thamel's development is the recent pedestrianization of its main thoroughfares. This has made walking around the area much more comfortable than it once was. Visitors can stop to browse at street-side stalls without having to worry (too much) about being hit by a taxi. Scooters and some vehicles are still allowed in so you do need to watch your back a bit, but people who knew Thamel before can't help but do a happy dance every time they visit now. Lazimpat Road is just northeast of Thamel. If you follow the smaller roads that lead off from Lazimpat Road, you'll find some of Kathmandu's most upmarket homes (a lot of foreign residents, politicians, and diplomats live here). The British and Indian embassies are off Lazimpat Road, as is the CIWEC travel medicine clinic—an important place to know for medical treatment in Kathmandu. 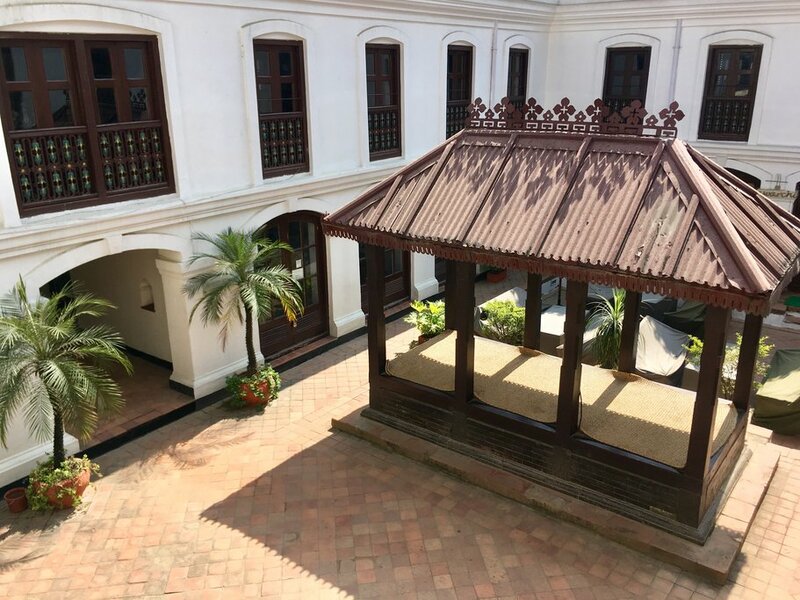 A number of upmarket hotels (such as the Hotel Shanker, in an old palace, and the Radisson) are in the Lazimpat area, as well as decent restaurants and coffee shops, and clothing and crafts boutiques. Lazimpat is a convenient alternative to Thamel if you want to stay in a central city area but prefer a less touristy vibe. 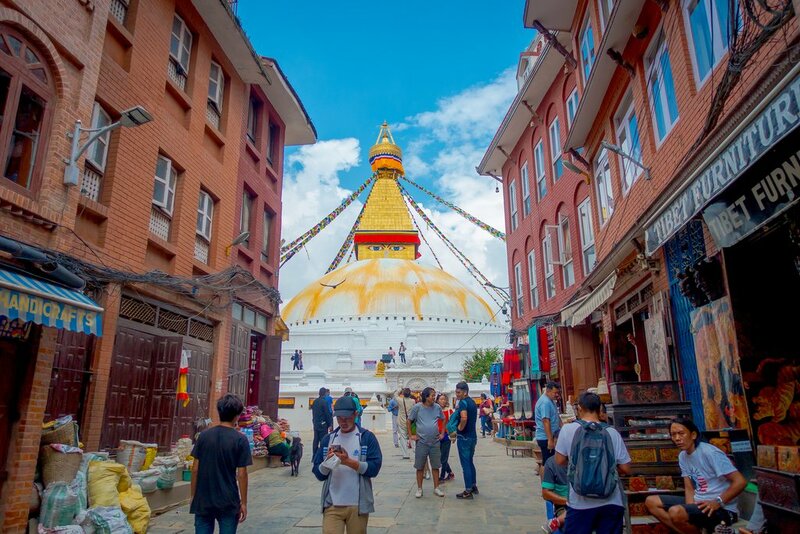 It's within walking distance of Thamel and Durbar Marg, but it's not a very pleasant walk along a busy, dusty road—you're better off getting a taxi or one of the green Sajha Yatayat buses that run a north-south route along Lazimpat Road. Boudha is a distinct area of Kathmandu, almost a town in itself. 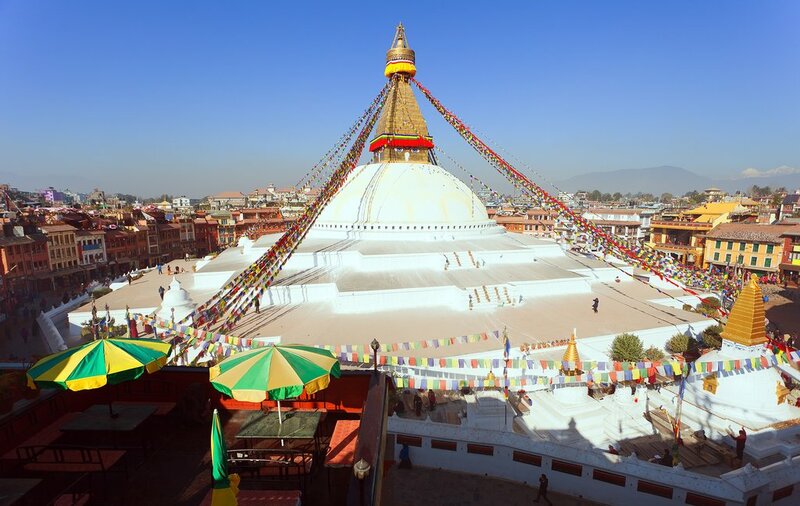 Focused on the enormous Boudhanath Stupa—the most sacred Tibetan Buddhist site outside of Tibet—Boudha is central to Kathmandu's Tibetan population. Here you'll find shops selling Tibetan souvenirs (most of which are actually produced in Nepal), Tibetan food like momos and thukpa, and Tibetan monasteries. Many travelers or longer-term foreign residents come here to study Tibetan language or religion, so you'll also find some nice cosmopolitan touches like a lovely Taiwanese teahouse overlooking the stupa and one of Kathmandu's best Vietnamese restaurants. While Boudha is quite close to Pashupatinath (Nepal's holiest Hindu temple—learn more about it in this article), it's quite a schlep from other parts of town, exacerbated by never-ending roadwork in the area. Plan on staying at least one night in Boudha to experience the neighborhood properly. It's especially atmospheric early in the morning, and after dark. Patan is also called Lalitpur, "City of Beauty"—Patan usually refers to the smaller, old town area, whereas Lalitpur is the name of the larger district. Nowadays, Patan is essentially a southern suburb, across the Bagmati River. It was once a separate kingdom, and it still retains a strong culture and character that's separate from Kathmandu. There are so many attractions here that it's worth basing yourself in Patan for a couple of days. 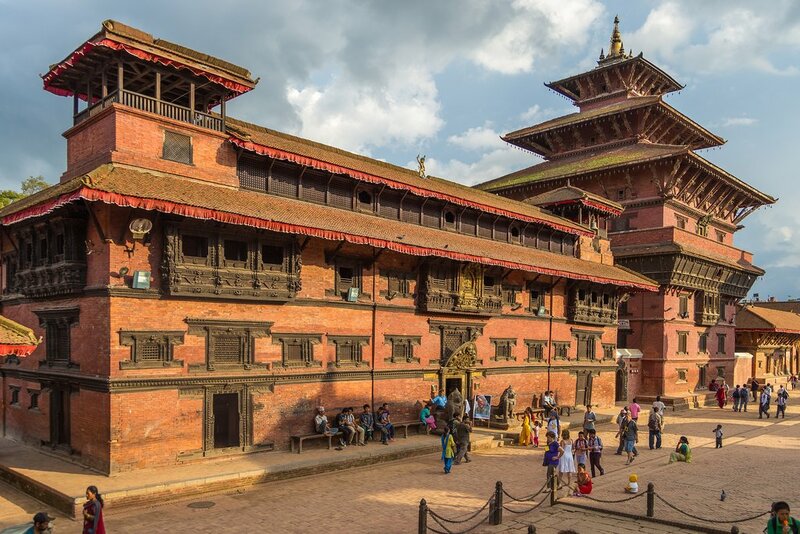 The Patan Durbar Square houses the excellent Patan Museum—which has been called the best museum in South Asia—and nearby are a number of unmissable temples, including the Golden Temple, the Temple of a Thousand Buddhas (Mahaboudha), and the Banglamukhi Temple. 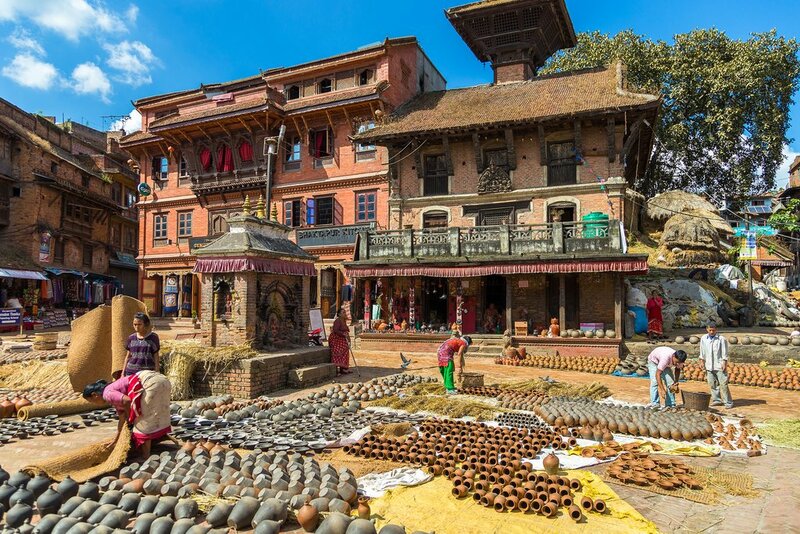 There are some very high quality boutique accommodation options in Patan (The Inn Patan, Cosy Nepal, and Swotha Traditional Homes are just a few), lovely craft shops, and many ways to see local artisans going about their daily work of carving, hammering metal, or making religious statues. They'd be making these things whether tourists came to Patan or not, and that's one of the most appealing features of the neighborhood: it's not a museum of culture, it's culture being lived and breathed by the local Newari people. The adjoining neighborhoods of Jawalakhel, Jhamsikhel, Sanepa, and Kupondole are just west of old Patan, and part of the greater Patan or Lalitpur area. The vibe, however, is totally different, as there are few old buildings here and much more modern, upmarket residences. These are not touristy areas per se, and in fact, there are few places to stay short-term. But a large proportion of Kathmandu's foreign residents live in the area, partly because the United Nations Headquarters are here, on Pulchowk Road. 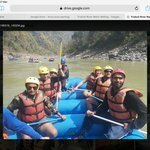 That means there are longer-term accommodation rentals available, lots of international (as well as Nepali) restaurants and cafes, great boutiques, art galleries, supermarkets, a few nightlife venues, and even co-working spaces. 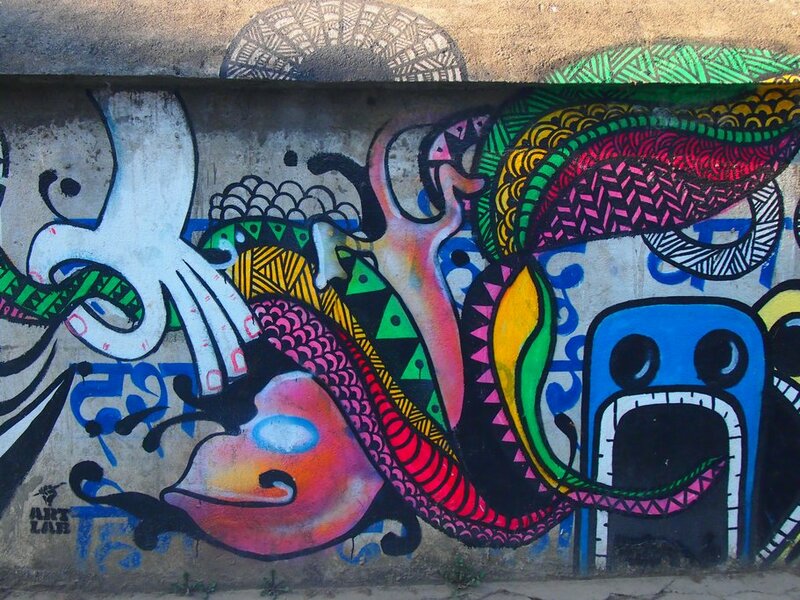 Not to mention Kathmandu's best mall, the Labim Mall, and some funky street art in Kupondole. If you're only spending a few days in Kathmandu then you can skip this part of town. But, if you're staying a bit longer, are wanting to tap into the expat scene, or just want some creature comforts (an air-conditioned movie theater in the mall!) then these neighborhoods should be on your radar. There's really only one reason to visit the Thapathali area—a riverside suburb with some government departments nearby—and that is to go to Baber Mahal Revisited. 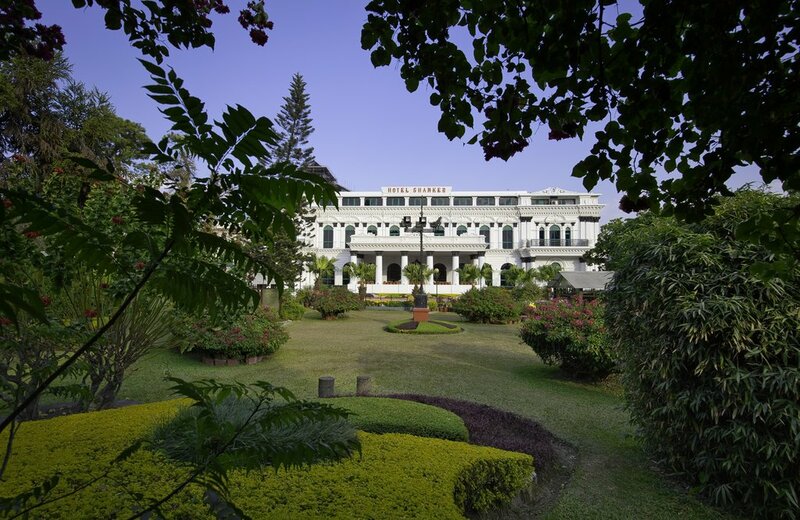 This complex is housed in a renovated late 19th/early 20th-century palace, the Baber Mahal. Inside are a collection of Kathmandu's best boutiques and restaurants (not to mention the priciest). The ever-popular Chez Caroline French restaurant is worth going out of your way for—it's expensive by Kathmandu standards, but not by international French food standards. There's also the lovely boutique hotel, 3 Rooms by Pauline, which offers homely-meets-palatial apartments. The complex also houses the Siddhartha Art Gallery, one of Kathmandu's best modern art galleries. On the far northern edge of the Kathmandu Valley is the neighborhood of Budhanilkantha, at the foot of the Shivapuri National Park. It's mostly a local residential area, but there is the excellent Shivapuri Heights Cottages, one of the homiest mid-range accommodation options in the city. 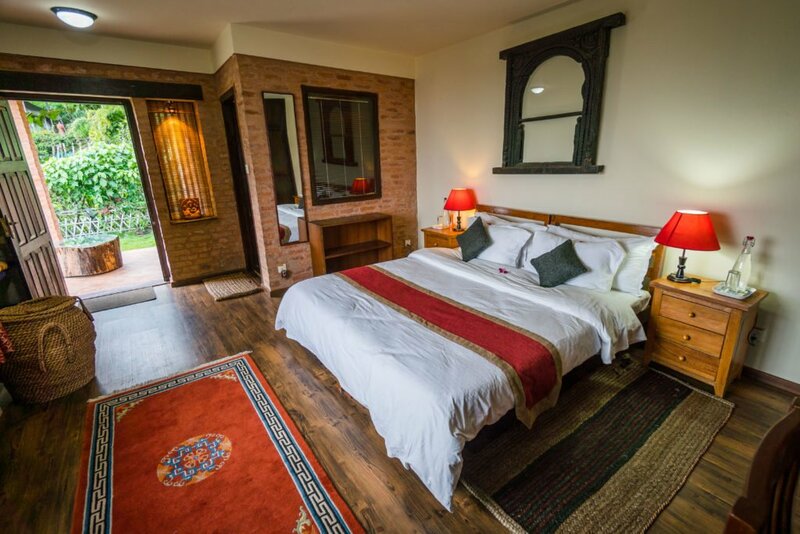 Run by British-Nepali couple Steve and Neeru, each cottage is individually decorated, the home-cooked food is delicious, and there's a terrace with wonderful views of the city, a plunge pool, and a spa. While staying at the Shivapuri Heights Cottages you can go for a walk in the national park, visit a nearby monastery, and check out the famous Budhanilkantha Temple, with an unusual statue of Hindu god Vishnu reclining in a pool of water, surrounded by snakes. Like Patan, Bhaktapur is more than just a neighborhood of Kathmandu. It's another town that was once a separate kingdom, and also feels very different from other parts of the city. It's also further from central Kathmandu, and not totally connected by urban sprawl (yet). It's an old Newari town with a fabulous old Durbar Square and the multi-tiered pagoda, Nayatapola Temple. It's also renowned for its find handicrafts, particularly pottery, which you can see drying in the sun after being hand made. Unfortunately, Bhaktapur was badly damaged in the earthquake of 2015, and the Durbar Square—which always felt less 'lived in' than that in Patan—feels somewhat abandoned. It's still highly worth visiting, though, as the architecture and culture of Bhaktapur is really special. Bhaktapur is about 10 miles from Kathmandu, and it's worth staying here overnight to experience the town after the day-trippers have left. Plus, some great hikes around the valley can begin from Bhaktapur.